Thus far, the incoming Trump Administration has expressed interest in easing restrictions and White House oversight on military decision-making. A willingness to place more agency in the hands of operators could provide breakthrough opportunities and flexibility for Special Operations Forces (SOF) as they continue to combat terrorism. The future of global security—from both non-state and state actors—will depend on preventing slow-burning and asymmetric threats from sowing instability abroad. Fully supporting the roles and resources of special operations is the best, most effective way to ensure America retains its strength and security. The U.S. Special Operations Command’s (USSOCOM) direct action missions provide immediate response capabilities during violent conflict. This includes counterterrorism (CT), high-value targeting, countering weapons of mass destruction, personnel recovery, and hostage rescue operations. These direct operations buy time for longer-term indirect approaches—including civil affairs, building partner capacity, information operations, and special reconnaissance—to take effect. Indirect operations address the sources of terrorism or instability by increasing partner nations’ resilience and rule of law. The Burke Chair at CSIS presents a new view of Islamic extremism and the Islamic world. The Burke Chair has carried out an analysis of the trends in global and regional terrorism, and the causes and impact of violent Islamic extremism. The linkages between water stress, sharing disputes and environmental degradation threaten to trap Asia in a vicious cycle. In a continent where China’s unilateralism stands out as a destabilizing factor, only four of the 57 transnational river basins have a treaty on water sharing or institutionalized cooperation. Indeed, the only Asian treaties incorporating specific sharing formulas are between India and its downriver neighbours, Pakistan and Bangladesh. When Pakistan was carved out of India as the first Islamic republic of the post-colonial era, the partition left the Indus headwaters in India, arming it with formidable water leverage over the newly-created country. Yet India ultimately agreed under World Bank and US pressure in 1960 to what still ranks as the world’s most generous (and lopsided) water-sharing pact. The Indus Waters Treaty (IWT) reserved for Pakistan the largest three rivers that make up more than four-fifths of the Indus-system waters, leaving for India just 19.48% of the total waters. After gifting the lion’s share of the waters to the congenitally hostile Pakistan, India also contributed $173.63 million for dam and other projects there. The Great Water Folly — one of the major strategic problems bequeathed to future Indian generations by the Nehruvian era — began exacting serious costs within a few years. Quick on the heels of the appointment of Lt Gen Bipin Rawat as the next Army chief, superseding two qualified officers, an inside media report has suggested that major military reforms are in the offing. While Minister for Defence Manohar Parrikar will reportedly discuss the need and mandate for a Chief of Defence Staff (CDS) post with the Prime Minister, work on creating joint commands has begun. The above contentious issues have resurrected three old debates: Seniority versus political discretion in the selection of the Army chief; whether a CDS post is the panacea for India’s anachronistic higher defence management; and the need for theatre commands. In an interview with the Business Standard of April 19, 2014, I had argued that the appointment of Service chiefs should be a political act. As wars now require politico-military synergy to continuously review crisis and escalation, the political leadership, in the absence of a formalised structure, should be free to choose an officer it is most comfortable working with from the panel of contestants given to the leadership by the Defence Ministry. This will ensure maximum collaboration between the political leadership and the Service chief. Twelve people were killed in a Christmas market in Berlin on Monday, mowed down by a terrorist in a big truck. Elsewhere in Germany, if it was an average day, another 10 people were killed in or by motor vehicles. They are all equally dead; the only difference is the motivation of the man in the truck. Three other people have been killed in terrorist attacks in Germany this year, so the total this year will be probably end up at 15. That's the highest number since 1972, but there are 80 million people in Germany, so the average German's risk of being killed in a terrorist attack is considerably less than the risk of drowning in the bathtub. The sensible response to such pinprick attacks is prevention: Good intelligence-gathering and smarter security measures, not mass arrests and foreign wars. That will reduce the number of attacks and hopefully keep them small (no more 9/11s). It's not possible to eliminate terrorism entirely, any more than a ‘war on crime’ can end all crime. It can, however, be kept down to nuisance level. First, the growth rate of Pakistan’s population has been one of the fastest in South Asia. Pakistan has been inching towards a water crisis for decades. In 1951, it was a water-abundant country with an annual per capita availability of around 5,260 cubic meters (m3). By 2013, this declined to as low as 964 m3 per annum. The country is expected to become “absolute water scarce” — less than 500 m3 per capita per annum — by 2035. Two studies show how declining water availability works in practice. According to the first, while average surface flows for a 30-year period from 1978-2008 were 140 million acre feet (MAF), the same for 1998-2008, was 128.52 MAF. According to the Economic Surveys of Pakistan, the availability of water during the Rabi season in 2013-14 was 10.7 per cent less than normal; in 2014-15 it was 9.1 per cent less than normal and according to media reports for 2015-16, the availability of water was estimated to be 20 per cent below normal. Declining water supplies have an immediate impact on agriculture. In 2015-16, agriculture recorded a negative growth of 0.19 per cent against a targeted growth of 3.9 per cent and a growth of 2.53 per cent in 2014-15. Three main factors are responsible for the decline in water availability. ‘No man is an island entire of itself; every man is a part of the main....... never send to know for whom the bell tolls; it tolls for thee.’ There is no doubt that these words of poet John Donne echoed subliminally in the mind of every soldier, sailor and airman as he watched TV footage of a man, who once headed the world’s fourth largest air force, being led into a Black Maria to be lodged in the company of criminals in jail. Given the position he held, the arrest of Air Chief Marshal (ACM) SP Tyagi by the Central Bureau of Investigation and his detention for “custodial interrogation” has shaken the armed forces’ community to the core and it should also stir our collective conscience. This piece is not being written in defence of the man, but as an expression of anguish by a senior citizen and a cry of dismay by a veteran at this insensitive act of the State. Investigations into allegations of corruption relating to the purchase of VVIP helicopters from M/S AugustaWestland of Italy have been going on since early 2013, with bursts of sporadic activity and publicity being triggered by the actions of Italian courts. The manner in which investigations have suddenly acquired urgency is an indication of the high political stakes involved. One thing is absolutely clear: Kashmiri leaders, without any exception, are not just separatist and half-separatist, but they are also rabidly anti-Jammu and anti-Hindu. New Delhi should understand this stark reality and take a final decision that frees Jammu and Ladakh from the 70-year-old Kashmiri Sunni rule. It was on 6 December 2016 that a great news of sorts broke for the first time in 70 years for the suffering Hindu (mostly Dalit) and Sikh refugees from Pakistan – all leading a wretched life in Jammu and its Kathua and Samba districts, since their migration in the wake of the communal partition of India. It said the Jammu & Kashmir government will issue domicile certificates and Scheduled Caste certificates to them and there will be reservation for them in the Central forces, including five battalions of Indian Reserve Force, which were being raised in Jammu & Kashmir (Daily Excelsior, 6 December). 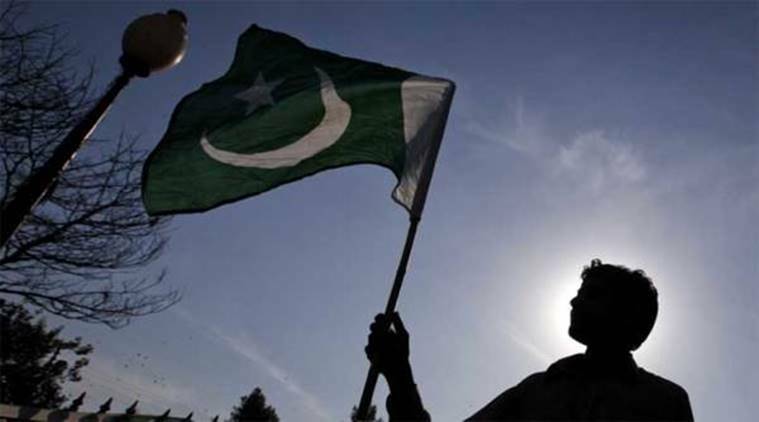 Notwithstanding the fact that they had been demanding full-citizenship rights in Jammu & Kashmir ever since their migration from Sialkot and surrounding villages in the then West Pakistan, the thrilled refugees celebrated the day as a day of thanksgiving. They expressed hope that Prime Minister Narendra Modi, who had during the 2014 Lok Sabha election campaign held out a solemn commitment that the refugees from Pakistan shall be granted citizenship rights, will one day surely grant them all their natural rights in Jammu & Kashmir, including the right to property, right to vote in the Assembly and local body elections, right to government jobs, right to higher education and right to a bank loan. They said in joy that “a good beginning has been made by taking a decision on issuing domicile and Scheduled Caste certificates to them” (The Tribune, 10 December). The fourth test-firing of the vertically launched Nirbhay subsonic 1,000km range cruise missile ended in failure with the wings failing properly to deploy in horizontal flight to target. In four test launches so far, the missile has failed for different reasons to perform in three of them. The first test of the Nirbhay in March 2013 was terminated because it veered off course. The second flight in October 2014 was successful to its extreme range. In the third testfiring in October 2015, the Nirbhay became uncontrolled in flight early in the second stage. Is this reason enough to abort the entire DRDO Nirbhay project? A powerful but motivated section within the Defence Ministry seems inclined to cut the losses by pursuing this drastic option. These people are the same people who will doubtlessly push for importing such a missile type. The brouhaha in the Press with insiders describing the Nirbhay’s latest as “utter failure” is no doubt meant to discourage and despirit the missile designers and developers and to pressure the Modi government into heeding their advice. But trashing the Nirbhay will only confirm the MOD and GOI’s absolute ignorance about the normal problems faced by any R&D programme developing any sophisticated technology. Instead of putting this momentarily derailed missile project back on track, doing a post mortem of the failures, and redoubling the efforts to iron out the technological kinks that have apparently crept into the missile system since the second successful test, the talk in official quarters, including in certain parts of the DRDO, of trashing Nirbhay may be designed to pressure the government into trashing it. Hopefully, Messrs Modi and Parrikar will not just resist such pressures but actively dissuade the naysayers and trash-talkers from mouthing defeatist sentiments. 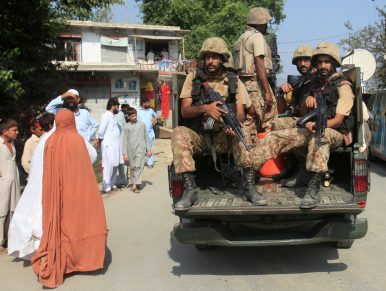 Two years after Pakistan unveiled its strategy for fighting terrorism, the results are mixed. And how much does it matter anymore? “FOLLOW local practice when a country expressly changes its name,” advises “The Economist Style Book”, the Bible of this newspaper. Among the list of examples that follow (“Lviv, not Lvov” etc) only two rate authorial interjections: “Myanmar, not (alas) Burma” and “Yangon, not (alas, alack) Rangoon”. We follow that dictate in our pages, of course, but not everyone else does. Upon landing at the country’s busiest airport, your pilot may welcome you to Yangon, but your luggage will still be tagged RGN. Though Barack Obama referred to Myanmar when he met the country’s former president, Thein Sein, for the first time, the American embassy still gives its address as “Rangoon, Burma”. And ordinary Burmese tend to refer, at least in conversation, to their country as “Burma” and its capital as “Rangoon”. Which should you use, and why? After decades as primarily a ground force with the world’s army (go tell China to never fight a land war in Asia), the Chinese military is reorienting itself toward an air-sea conflict in waters such as the South China Sea. For more than a decade, it has been China’s air and naval forces that have growing in budget and stature, while the army has not. The answer, the scholars suggest, may actually be Machiavellian. The Chinese army is going along with the reforms because it actually believes it will gain more power from them. In an article in Joint Forces Quarterly, Phillip Saunders and John Chen begin their analysis by noting the decline within the People’s Liberation Army—the general name for Chinese military—of the PLA Army (PLAA), the ground force component of the PLA and traditionally the dominant service. 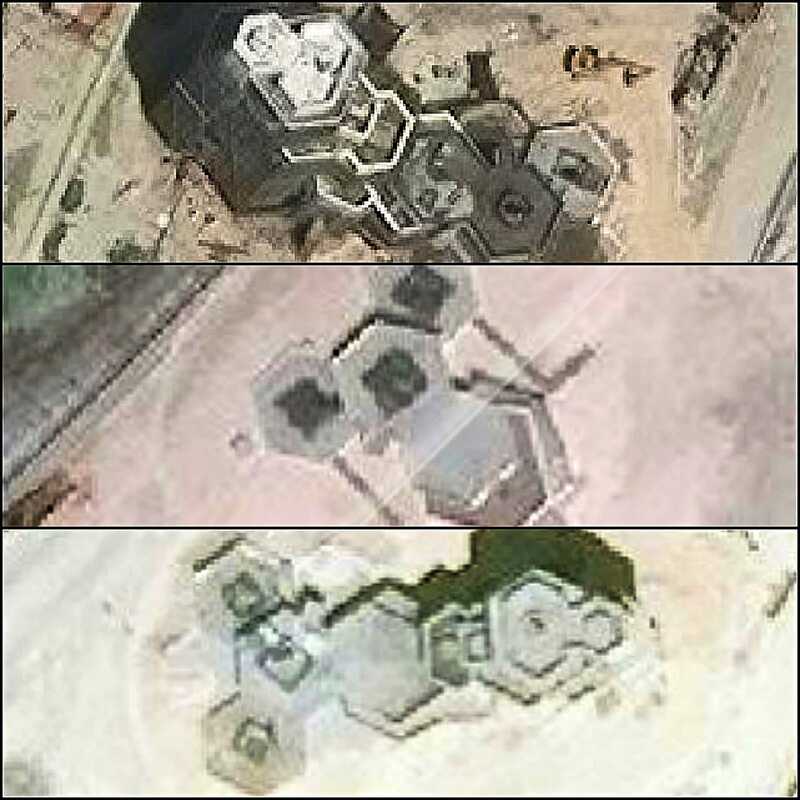 WASHINGTON, DC - The mysterious hexagonal facilities the Chinese began installing on man-made islands in the South China Sea appear to be anti-aircraft and anti-missile systems, according to the Asia Maritime Transparency Initiative (AMTI), a unit of the Center for Strategic and International Studies. In August, AMTI published satellite imagery of several unidentified hexagonal structures on Fiery Cross, Subi, and Mischief reefs. "More recent satellite imagery suggests that these hexagonal structures are point defense systems that are designed to defend the land features and the assets on them from an attack," Bonnie Glaser, senior adviser for Asia and the director of the China Power Project at CSIS, told Business Insider. What's more, Glaser notes that China is building these structures on all seven of the islets and reefs it occupies in the Spratly Islands. In recent times, China appears to be closely monitoring the movement of the Dalai Lama and has been protesting to every country that has received the Dalai Lama or given prominence to him. It is strange that China which is a large country with huge population, strong economy and mighty military power is giving an impression that it is scared of the Dalai Lama, who is a frail elderly person with no military at his command and only possessing attributes of goodwill for everyone. Even after six decades of occupying Tibet, China seems to be concerned that the independent spirit of Tibetans living in exile around the world continue to remain very high. China seems to be so scared of the Tibetan spirit that it opposes the visit of the Dalai Lama to any country in the world. Due to objection from China and fearing China, Sri Lanka refused to give visa to the Dalai Lama, in spite of millions of Buddhists living in Sri Lanka. A few weeks back, the U S President Obama received the Dalai Lama through the back door, to keep China in good humor. On December 19, a terrorist ploughed a lorry into a Christmas market in Berlin, killing 12 people and wounding a dozen others. On July 18, an Afghan teenager used an axe to launch attacks on a train in the German town of Wuerzburg. On July 22, a teenager of Iranian origin shot dead nine people in Munich. On July 24, a Syrian refugee killed a woman with a machete and another Syrian refugee exploded himself in the German town of Ansbach. Similar attacks have taken place in Western cities in recent years. In India too, such attacks have occurred regularly; for example, jihadis cut off professor TJ Joseph's hand in Kerala in 2010, or Guru Teg Bahadur was hanged in Delhi in 1675 for refusing to convert to Islam. Nations are nowadays invaded by ideas, not necessarily by militaries. Recently, television debates about the use of pellet guns in Kashmir appeared more threatening to the cohesion of India than the actual terror threat from Pakistan. Over the past several years, tech and social media companies have struggled to provide a comprehensive response to the problem of terrorism-related content posted online. In early December, Twitter, Facebook, Microsoft, and YouTube announced a new initiative to share databases of online “hashes” in an effort to curb the spread of extremist material online. As defined in a statement released by Twitter, hashes are digital fingerprints for “violent terrorist imagery or terrorist recruitment videos or images” that have been posted on social media sites. This new measure will increase the efficiency of removing similar terrorist content across multiple social media networks. However, the announcement raises the questions of why it took so long for companies to agree to this and whether sharing these databases will actually be successful in reducing terrorist content online. Therefore, tech and social media companies should continue to build on this new shared data initiative, rather than assume that this initiative alone will be enough to curb the future spread of online extremist material. Cohen has edited the Boston Review, a magazine of literature and political ideas, since 1991, alongside appointments at MIT, Stanford, Berkeley, and Apple University, Apple’s corporate training arm. He left MIT for the Bay Area a decade ago, but the magazine’s office and core staff, including Cohen’s co-editor Deborah Chasman ’85 and managing editor Adam McGee Ph.D. ’14, remain in Cambridge, at MIT’s campus. The Review aims to link academic debates to a wider public discourse, counting among its contributors leading intellectuals like government and education professor Danielle Allen, Walmsley University Professor Cass Sunstein, Boskey professor of law Lani Guinier, and others. Each issue headlines with a beefy “Forum” section, where heavy-hitters answer ambitious questions like “What is education for?” (answered by Allen, and then engaging others’ perspectives). “What are foundations for?” “Ferguson won’t change anything. What will?” Once a distinctly literary publication, the Review’s arts and culture contents now lie deeper in, including a fiction section edited by Junot Díaz, RI ’04. The Review’s website underwent a gut renovation this fall, at the peak of the election cycle, shedding what Cohen called its “dull as dishwater” look. Its new bold-faced, blue-and-yellow design resembles a new-media startup more than a bookish bimonthly magazine; Cohen hopes it will enliven the readership for a Trumpian era. In the wake of the election, he reports, the Review has benefited from a spike in public support for independent media. The gatekeeper companies in the Data and Information Technology (IT) industries, both old and new, have betrayed the public trust at multiple levels – good people, no doubt, but trapped in bad systems. Their “Balkanization” of software, hardware, data, and spectrum has handicapped humanity and despite some stellar offerings in a micro sense, at the macro level they have imposed an opportunity cost against innovation, integrity, and intelligence of 90%. Open Source Everything Engineering (OSEE), when combined with holistic analytics and True Cost Economics (TCE) and placed squarely upon a foundation of human ethics and human thinking, can achieve the United Nations (UN) Sustainable Development Goals (SDG) at 10% of the cost of the old predatory proprietary paradigm, in half the time or less. This is a major augmentation of C. K. Prahalad’s vision of “the fortune at the bottom of the pyramid,” (Prahalad) and the only means by which we can achieve “Inclusive Capitalism” (Rothschild). Stepping back from the many unsubstantiated claims of the Artificial Intelligence (AI) community, I humbly suggest that Intelligence Augmentation (IA) is also making many of the very same mistakes common to the over-sold and under-performing computers “ubber alles” mindset, a mindset that currently dominates thinking within the Singularity/AI domain, with a troubling creep into the IA world. But the tweet also raises a question: is Mr. Trump really so ignorant of the size and state of the powerful nuclear forces that he will control beginning on January 20? As commander-in-chief, the president-elect will have sole authority to order the use of American nuclear weapons. They comprise an awesome force. When the most important battle in the campaign to dislodge ISIS from Iraq and Syria—the offensive to retake Iraq’s second-largest city, Mosul—began on October 17th, the UN Refugee Agency warned of an impending humanitarian catastrophe. International aid agencies fear that urban warfare in a densely populated city inevitably puts large numbers of civilians in grave danger from crossfire, snipers, and artillery barrages. The United Nations has estimated that as many as one million Iraqis may flee their homes as the fighting continues to unfold, resulting in one of the largest displacement crises in recent years. Over 70,000 people have fled Mosul and surrounding areas thus far, with temperatures dropping below freezing. Incidents of ISIS using crude chemical weapons that can be especially dangerous in close city quarters, and recent reports about thousands of men, women, and children being used as human shields to reinforce ISIS positions, suggest that the human toll could be staggering. The offensive to liberate Mosul, and even more recently the battle for Aleppo in Syria, illustrate the complex challenges and ruinous effects of military operations that occur in cities. Unfortunately, as the world continues to urbanize, this kind of combat will become increasingly hard to avoid. How should science and policy experts respond to the trend towards urban conflict? And what role might emerging technologies play in decreasing the human suffering involved? What was it like fighting for the British at a time when the struggle for India’s freedom was at its peak? — Written in Urdu by an Indian sepoy from Tunisia on May 16, 1943. Two-and-a-half million men from undivided India served the British during the Second World War. Their experiences are little remembered today, neither in the UK, where a Eurocentric memory of the war dominates, nor in South Asia, which privileges nationalist histories of independence from the British Empire. And yet, military censorship reports from the Second World War, archived at the British Library’s India Office Records and containing extracts from Indian soldiers’ letters home, bear witness to this counter-narrative. What was it like fighting for the British at a time when the struggle for India’s freedom from British rule was at its most incendiary? A unit within the Russian military intelligence, which was also subsequently attributed by some private security firms for part of the hacks against the Democratic National Committee during the 2016 U.S. presidential election, has implanted malware within the Android platform allowing for easier reconnaissance and even targeting of Ukrainian soldiers using these mobile devices. If the Defense Department deploys blockchain, a new and radically different data management technology, the data attacks of today would become much less damaging, with the key benefit being that the data in war fighters' hands become more dependable by being incorruptible. The reasons to adopt blockchain technology are twofold: avoiding downside disruption risk and maximizing upside war-fighting opportunity. Regarding downside risk, war fighters need to mitigate the operational disruption and degradation that results from an absence of authentic data because so many of our weapons systems require data to effectively function or to function at all. Blockchain’s upside is that our military could take data corruption and compromise off the table as things an enemy could do to military data. The first reason is important; the second reason is game-changing in warfare. Over the past several years, tech and social media companies have struggled to provide a comprehensive response to the problem of terrorism-related content posted online. In early December, Twitter, Facebook, Microsoft, and YouTube announced a new initiative to share databases of online “hashes” in an effort to curb the spread of extremist material online. As defined in a statement released by Twitter, hashes are digital fingerprints for “violent terrorist imagery or terrorist recruitment videos or images” that have been posted on social media sites. [i] This new measure will increase the efficiency of removing similar terrorist content across multiple social media networks. However, the announcement raises the questions of why it took so long for companies to agree to this and whether sharing these databases will actually be successful in reducing terrorist content online. Therefore, tech and social media companies should continue to build on this new shared data initiative, rather than assume that this initiative alone will be enough to curb the future spread of online extremist material.